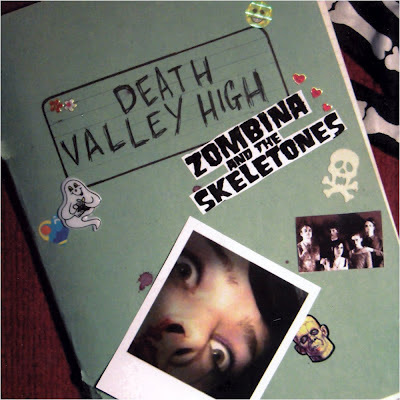 In 2006 we released "Death Valley High", a 13 song concept album that told the story of a scorned nerd girl who brought death-ray destruction to her high school. It's the token "underrated classic" of the ZATS discography, and as such - we've still got a shitload of physical copies left over. Which is good news for you! You can easily stream or download the album in it's entirety from our Bandcamp page, but if you go the extra mile and buy the actual CD you get to bask in the glory of it's gold trophy winning inlay art - featuring the Class 5A yearbook; hidden song lyrics; and subtle clues to the whats, whys, and wherefores of the mystery at the heart of Death Valley High! If feel like you want to sleuth it out, go and order one from the shop page, right this instant. If you just came for the music, here's Death Valley High in digital form!